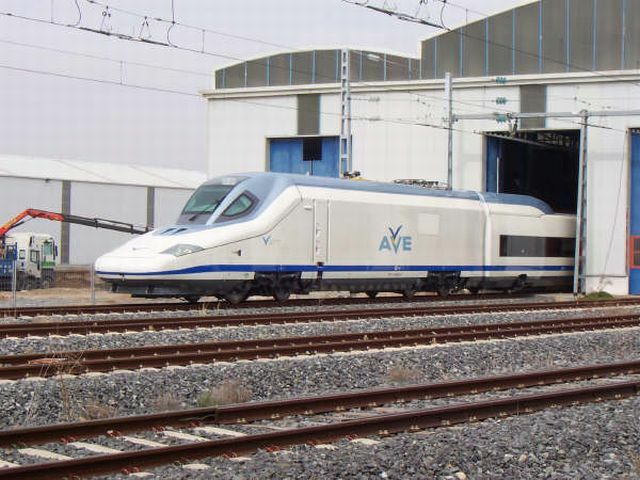 AVE-102 001 set seen at the La Sagra workshops (Toledo). This time, brands and logo are not missing any more. 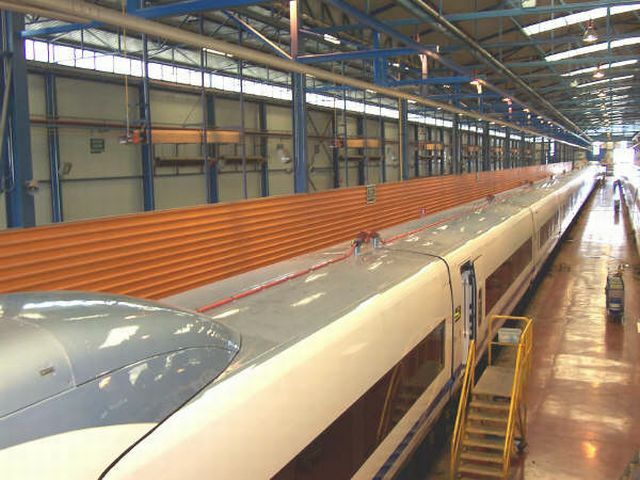 These sets derive from the Talgo 350 Prototype, now owned by GIF/ADIF. They will primarily run on Madrid-Barcelona. Photo by c-AVE-c (c-AVE-c@tranvia.org) (Acknowledgments), from the MS Train Simulator Fan Site. Posting and comment by P.L. Guillemin (plguillemin@yahoo.fr). Roof of AVE-102 001 set seen at the La Sagra workshops (Toledo).